Univ Of Minnesota Press, 9781517904906, 304pp. Until he escaped, he had been called “Sample B #3,” but he had never liked this name. That would surprise them—that he could feel one way or another about it. He was designed to reshape himself based on whatever life forms he ingested; he was not made to think, and certainly not to assume the shape of a repair technician whose cells he had sampled and then simply walk out of the secure compound. Artificial Intelligence is all too real in this classic of Japanese science fiction by Mariko Ohara. Jonah, a child murdered by her mother, has become the spirit of an AI-controlled house where the rogue cyborg once known as Sample B #3 takes refuge and, making a meal of the dead girl buried under the house, takes Jonah’s form. On faraway Planet Caritas, an outpost of human civilization, the female AI system that governs society has become insane. Meanwhile, the threat of the Adiaptron Empire, the machine race that #3 was built to fight, remains. With the familiar strangeness of a fairy tale, Ohara’s novel traverses the mysterious distance between body and mind, between the mechanics of life and the ghost in the machine, between the infinitesimal and infinity. The child as mother, the mother as monster, the monster as hero: this shape-shifting story of nourishment, nurture, and parturition is a rare feminist work of speculative fiction and received the prestigious Seiun (Nebula) Award in 1991. 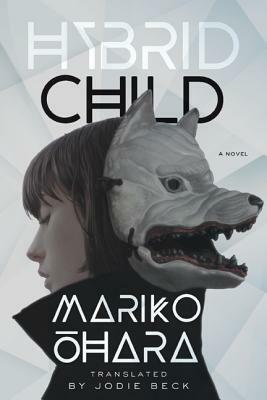 Hybrid Child is the first English translation of a major work of science fiction by a female Japanese author. Mariko Ohara’s many books include Senso-wo Enjita Kamigamitachi (Gods Prosecuting War), which won the 1994 Nihon SF Taisho Award for best science fiction work of the year; Taimu Riipa (Time Leaper, 1993); and Kyuuketsuki Efemera (Ephemera the Vampire, 1993). She also writes for comics, radio, and video games, including the original script for Super Nintendo Gaia Gensoki (Illusion of Gaia). Saiko Saundo Mashin (Psycho Sound Machine, 1998), based on one of her stories, won the Galaxy Award for best radio drama. Jodie Beck is an ESL/EFL instructor and Japanese–English translator. Her translations of essays have been published in Mechademia.